Rare, hard-to-find, elusive, all words that describe this well-built modern 4 bedroom home in the well sought after Glenbrooke North. Living close to all levels of schools, transportation, recreation and shopping are the wishes of every family. But the dream kitchen and a spa like ensuite are usually too much to expect when shopping for your next home in New Westminster. You don't need to build a custom home to get these luxuries. Save time and money and move into this custom-built 3 year old home complete with self contained legal suite. 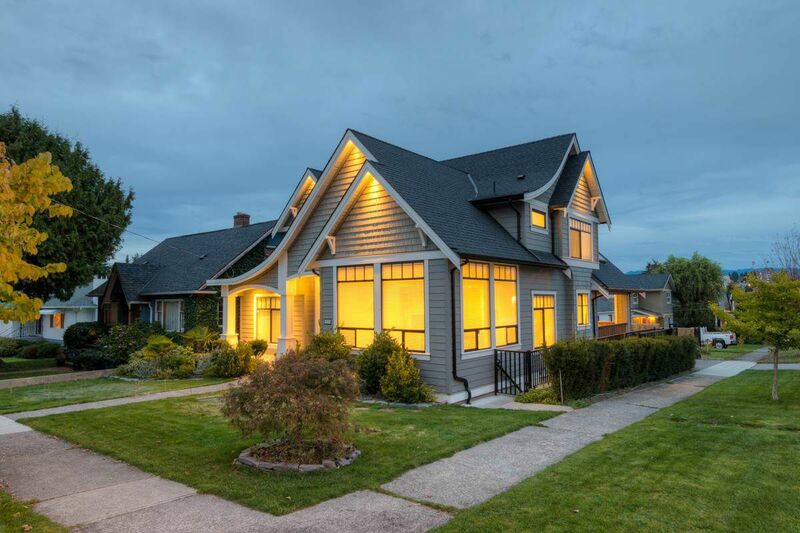 The only single family home to make the finalists in the 2015 Royal City Builder Awards. Quality will surround you with Kohler, Toto and Grohe sinks, toilets and faucets found throughout this home. Radiant in floor heat, oversized and elevated feature gas fireplace, 12' foot ceilings in living room with huge corner windows flood the main floor with light. Dream kitchen, professional series 6 burner Electrolux gas stove, a water fall quarts island and concealed appliances.